Have you ever thought why, in spite of the millions of reports about the negative effects of drinking soda, people still don’t avoid soda? I do admit, soda has its charms and gives a refreshing feeling after a cold sip. But I have never been a fan of soda drinking. Never was and never will be. And I believe so should you. I believe in removing shelves dedicated to different soda brands in groceries. Especially in those places that are accessible to children. I also don’t understand advertisements that are teasing us to buy soda. Do we get benefits from drinking this? And I think the worst part is that these food items do not come with any warning label. Before I got into this my healthy journey, I did have my soda moments. Sure, I enjoyed having that sip or two from a soda can. I was thinking, “One sip wouldn’t hurt.” But then I continued to sip and before I knew it, I finished the whole can. One whole can of what, exactly? To burn 138 calories gulped in less than 10 minutes, you need to do 38 minutes of walking. Or if you are a swimmer, you need to swim for 12 minutes. If you want to get 138 calories, why not eat chicken breast? It contains the same amount. The sugar from 1 can of soda is equal to eating 10 pieces of gummy worms or 1 bar of Snickers. You never thought it would be like eating candy, didn’t you? 15 mg of Sodium may not be much, but it will still be extra sodium to your already sodium-rich food intake. 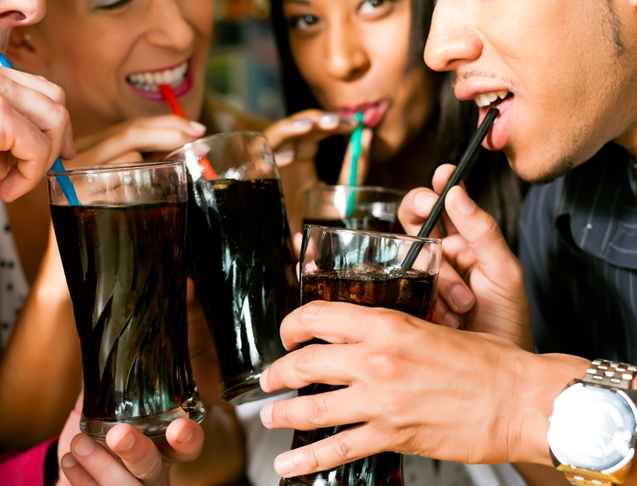 The caffeine from soda could be taken from coffee, as it has several health benefits. Nutritionists are encouraging us to only consume 25g if you are female and 37.5g for males of daily added sugars. Added sugars are like those found in sodas, they are not natural occurring unlike in milk and fruits. If you are female and have eaten 10 pieces of gummy worms with a can of soda, you’ve exceeded your daily limit. What happens to the excess sugar? Goes to your flabby stomach or arms. If you drank 1 can of soda, you have already reached your daily limit. Is it worth it? With all the information that we now know about soda and how it can affect our health, would you now think twice about drinking that can?